All that being said, there have been few political figures in American history that have invited as much ire and ridicule as much as our current president, Donald J. Trump (yes, I’m including other recent presidents). 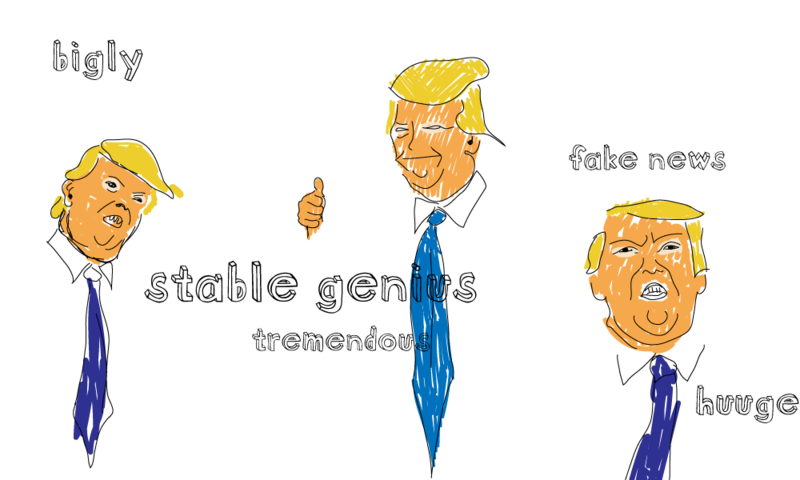 His policies, his offensive comments, and his seeming disregard for basic civility have resulted in an abundance of cartoons making fun of his hair, weight, speech patterns, and just about every other aspect of his persona. 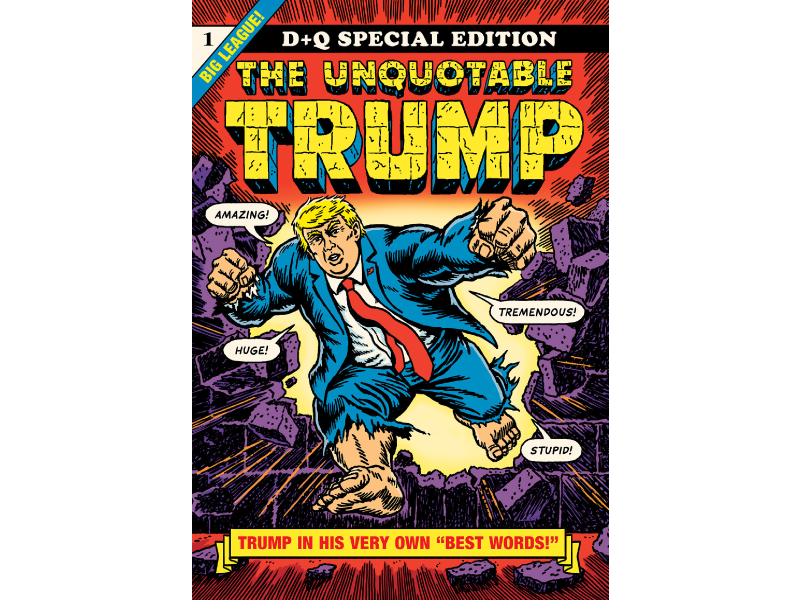 In fact, within the past year, no less than four graphic novels lampooning Trump have arrived in bookstores. All are similar in structure, by which I mean they tend to contrast his public comments, either via Twitter or in public, with a humorous or scathing caricature, one that hopefully underscores the vileness or just the plain peculiarity of his remarks. 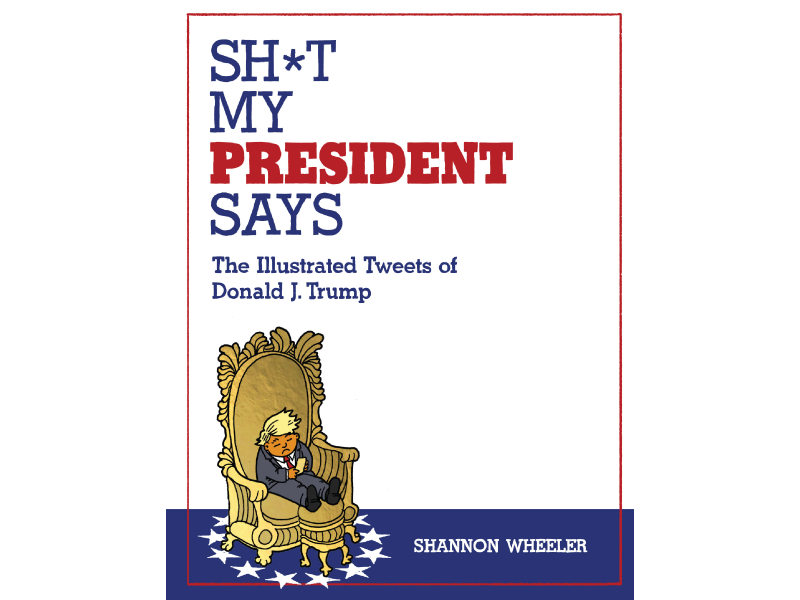 The first book out of the gate was Sh*t My President Says: The Illustrated Tweets of Donald J. Trump by Shannon Wheeler, who is perhaps best known for his sardonic superhero parody, Too Much Coffee Man. Wheeler’s approach is pretty straightforward: Show a tweet from Trump, then illustrate it, often in the most obvious manner possible. A tweet scoffing at global warming, for example, is accompanied by Trump (drawn to look something akin to a petulant elementary school student) staring at snow falling outside the window. When Trump talks about his high IQ, Wheeler draws him with a large cranium. When he talks about building a wall, he is shown playing with toy bricks. And so forth. As satire goes, this is pretty weak sauce. Wheeler’s illustrations are so literal that they show little imagination and do nothing to underscore the impact of the president’s words. Even worse, in attempting to occasionally depict Trump’s worldview, it’s difficult at times to know what exactly is being satirized. There are a few cartoons, such as the one where a giant Obama is tapping into Trump Tower with a pair of headphones, that could easily be misconstrued as taking Trump’s side in the argument. Ultimately, this is an airport gift book for those in the anti-Trump crowd who will buy anything that mocks the president, regardless of quality. The cartoonist Robert Sikoryak attempts to take Wheeler’s basic concept a step further in The Unquotable Trump. Sikoryak has made a career out of creating some rather inspired mash-ups, adapting classic literature — The Scarlet Letter, Wuthering Heights, etc. — in the style of a classic cartoonist. Charlie Brown thus becomes Gregor Samsa, Joe Bazooka tours Dante’s Inferno, and Beavis and Butthead are waiting for Godot. 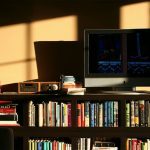 His recent Terms and Conditions is perhaps the apex of this conceit, being an “adaptation” of Apple’s lengthy legal letter to iTunes customers. Sikoryak adopts a similar method to Terms and Conditions in Unquotable, adapting various well-known (at least to fans) comic book covers from the annals of history but replacing one of the main or central figures with the president, all while quoting some noxious thing he said. So Wonder Woman tosses Trump over a wall while he declares what a “nasty woman” she is. He attacks Captain America (here called “Senator America”) while saying how he likes “people that weren’t captured.” He’s also alternatively portrayed as Bluto, Elmer Fudd, Mr. Wetherbee, Scrooge McDuck, Baby Huey, and Godzilla. You get the idea. It’s a mixed bag, quite frankly. Occasionally the conceit works, as when Sikoryak depicts Trump as Tubby, declaring how rigged the system is as Little Lulu gains the upper hand (literally), but for every gag that works, there many that fall flat or just seem like odd choices. 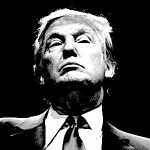 More to the point, and as with Sh*t My President Says, Unquotable Trump doesn’t tell us anything about Trump — namely that he’s a bellicose braggart — that we didn’t already know. 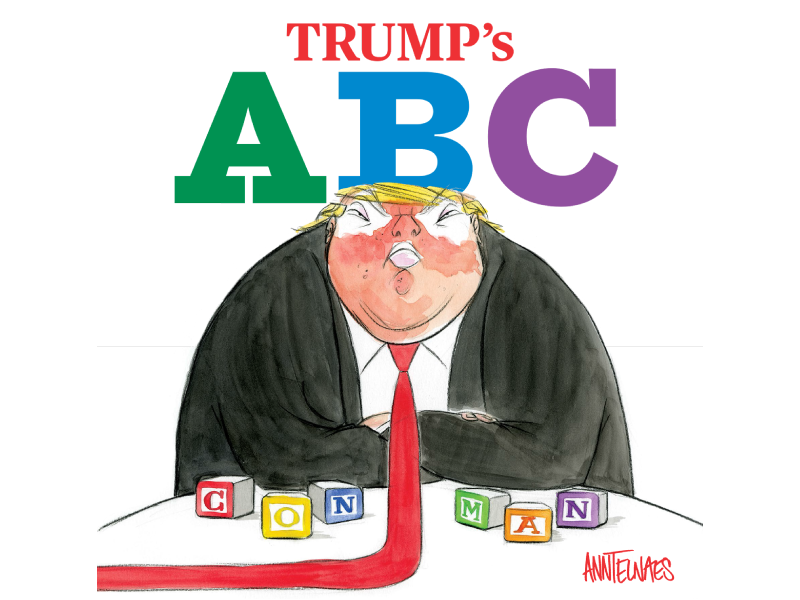 Ann Telnaes is one of the most accomplished editorial cartoonists working today, so my hopes were strong that Trump’s ABC would rise above this mediocre satire. Alas, it was not to be. The book mixes up the formula somewhat by taking the form of a children’s board book, running through the alphabet in typical sing-song fashion (“E is for ego, so bigly and brash / F is for fake news, created for cash”). Telnaes’ artistic skill remains astonishing. Few cartoonists working in newspapers today seem to have the grace and wit she is able to convey in a few simple lines, and it is a treat to see her depict Trump, for example, as a gaseous balloon, all pursed lips and squinty eyes. But as with the aforementioned books, the jokes here seem too obvious to hit — Trump is a misogynist, Trump is sleazy, etc. This is yet another a book tailor-made for the choir, and the eloquence of the preaching doesn’t make it feel any less slight. Perhaps the only book that offers any sort of emotional and political heft is TRUMPTRUMP Vol. 1: Nomination to Inauguration by Warren Craghead. 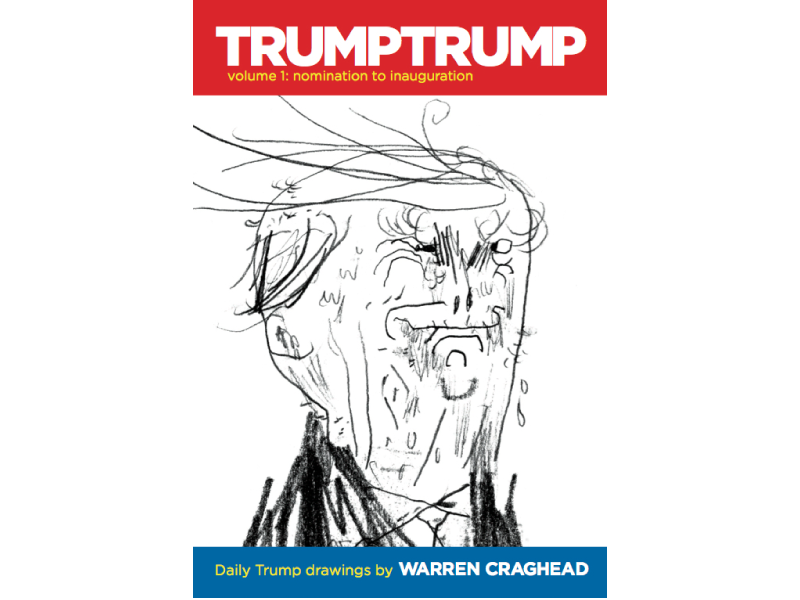 Since July 2016, Craghead has been drawing a daily caricature of Trump, usually along with a corresponding tweet or statement. So far, so familiar. What makes TRUMPTRUMP different, however, is how remorselessly savage it is in its portrayal of Trump. Drawing on the works of artists like Philip Guston and George Grosz, Craghead’s Trump seems barely human: a sweating, fleshy, simpering, slug-like creature, who only continues to devolve as the book progresses, eventually shedding limbs and clothes, slithering around a barren, apocalyptic landscape, licking flags and crosses and leaving a trail of slime wherever he (it?) goes. Feature image created by Emily Anderson. 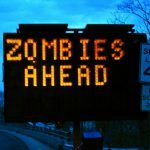 All other images courtesy of the author.